Steal the show with the Broadway Oak Chair Grey Fabric, a stylish and comfortable chair ideal for the dining area, lounge, and more. This piece is expertly crafted with both classic and modern materials, adding versatility to the Broadway’s showbiz style. 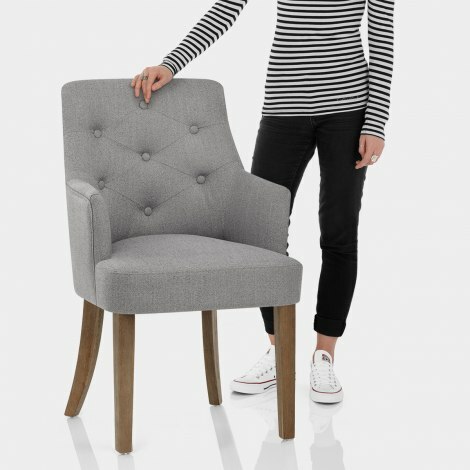 A dining delight, the accommodating seat is beautifully upholstered in grey fabric, with a sprung and belted frame beneath for outstanding comfort. With a supportive backrest and combined armrests, this design invites you to sit back and relax. Plus, the back is decorated with a stylish quilted button pattern for chic boutique appeal. A solid wooden frame supports the seat and is comprised of four legs with a rich antiqued finish. The legs also include plugs on the underside in an effort to protect your floors. "Very easy ordering and very quick delivery"
Excellent value and customer service. Ordered them on a Thursday and it arrived the following Saturday. 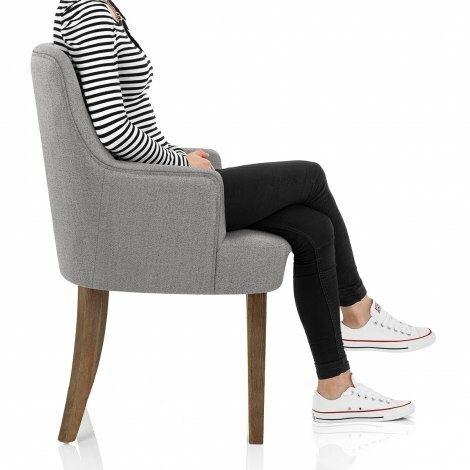 Very easy to assemble and comfortable to sit in. 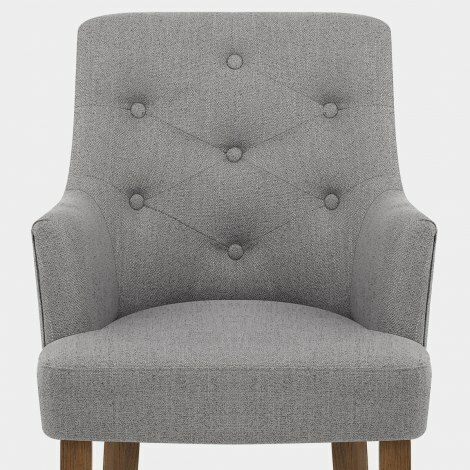 We choose two of these chairs for our bedroom. Ordered them on Sunday afternoon and they arrived on Tuesday morning. The chairs are well made and you only have the legs to attach. (The legs are stored in the seat of the chair). Chairs are solid look exactly as shown. Great service. I bought this chair for my newly decorated and furnished bedroom. All furniture was fully assembled as hubby does not like flat backed furniture. Chair said it required some assembly. The chair came assembled only to put legs on. It is very good quality, and great price. Very easy ordering and very quick delivery. Very nice chair and easy to assemble. Hopefully will last as seems good quality.